Are you thinking about homeschooling your preschooler or kindergartner this year? Or maybe your child's school doesn't offer Spanish classes and you'd like them to learn at home. 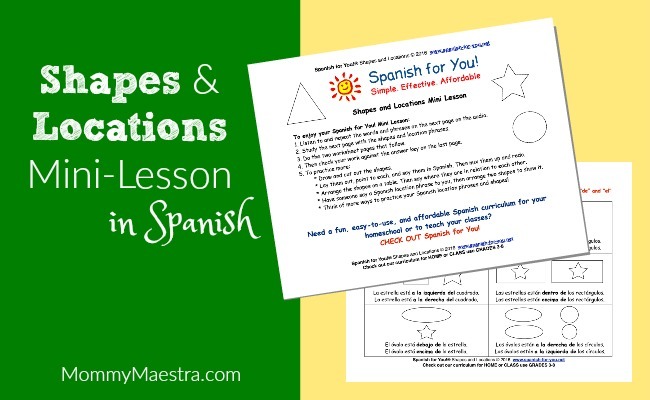 Either way, this month's free download from MommyMaestra sponsor - Spanish for You! - is an excellent resource for youWalgreens. This mini-lesson comes with activities to help your child learn about shapes and locations, as well as an audio file.